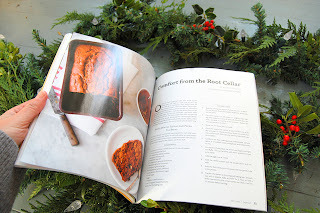 ...the mail was delivered and in it was a wonderful surprise! 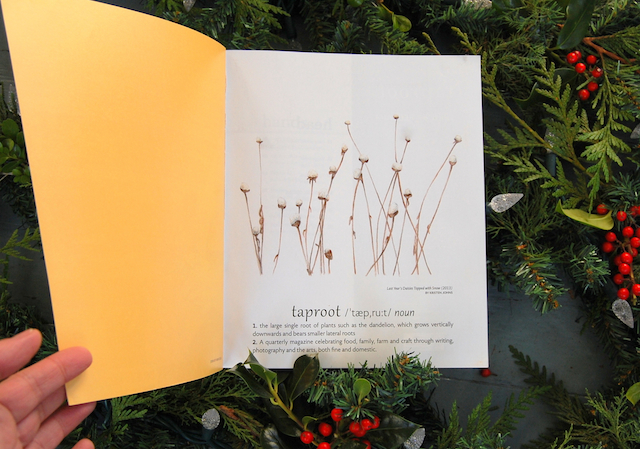 One of my drawings was accepted in a beautiful and thoughtful magazine called Taproot. But I didn't realize they were going to put my piece on page one! What a thrill! This is a drawing I called "Last year's daisies topped with snow" which was chosen for the winter issue of the magazine simply themed "Reclaim". 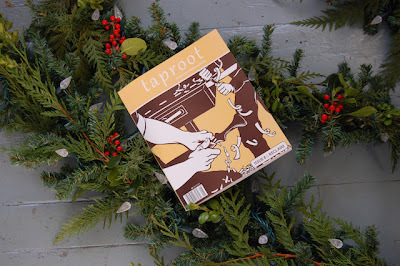 It's a wonderful magazine, started by Amanda Blake-Soule and it's full of great articles "celebrating food, family, farm and craft..." Read more about Amanda and Taproot. 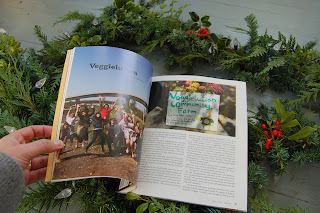 I'm so pleased to be part of this amazing group of people who make and contribute to this magazine. I've found it so inspiring and reminds me to keep going. 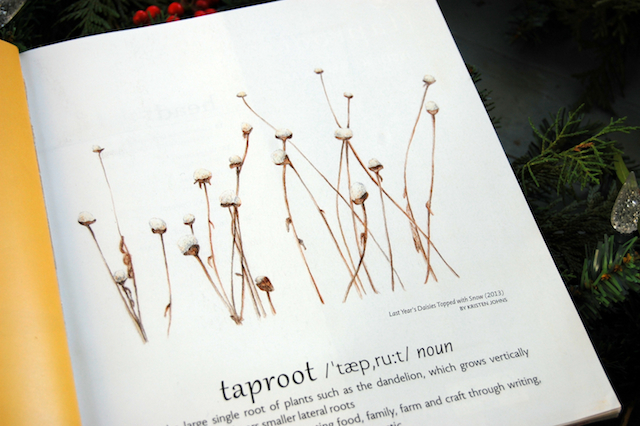 Thank you Taproot! 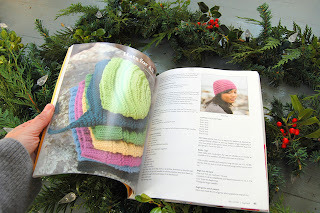 And yes, they do ship subscriptions of this quarterly magazine to Canada! Now, back to my garland! Thanks so much Gwylan, Sera and Elina! I think you'd all like the magazine if you come across a copy!